The James Bond movie franchise is one that has always captured the imagination of its viewers for its portrayal of over-the-top action and fantastic settings. For some, however, the unsung hero of the films has forever been “Q,” and his suite of cutting-edge gadgets and gizmos. The latest installment of the franchise— “Skyfall”— is no different, and sees Q outfit Agent 007 with an NFC-enabled Sony Xperia T. Granted, this is yet another glaring example of product placement in film, but the inclusion of NFC is cool nonetheless. Proxama founder and CEO, Neil Garner believes the possible applications of NFC for an international spy are evident— for example, downloading information on a mark from a public banner or advertisement could be an inventive and stealthy use of the tech. 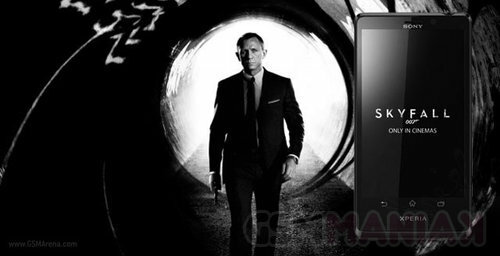 The unfortunate truth is, however, that 007’s NFC-enabled phone never actually uses the tech on screen. The good news for those of us who have ever dreamt of jet-setting the globe working for an international spy organization as does 007, is that we can have the same NFC technology that resides Bond’s phone. In fact, many who have upgraded their handset in recent months likely already have NFC at their fingertips. The inclusion of NFC in a major blockbuster title like Skyfall is a great way to spread awareness and interest in the technology, but if Agent 007 doesn’t actually use it, the product placement publicizes only the device itself. A curious decision for Sony, who are major stakeholders in the ISIS Mobile Wallet initiative. All credit to Sony for pushing the boundaries of NFC by implementing it into their devices and supporting the likes of ISIS. Garner, however, can’t help but feel that there was a missed opportunity to promote the tech in the Bond film. Product placements like the Xperia T should show that NFC is a feature of the device. More traditional advertising efforts need to stress that phones are being shipped with NFC, a mistake that advertisements for the Motorola Droid RAZR— an NFC-enabled device— have made. The buzz surrounding NFC seems to grow stronger by the day, and product placement in the Bond film is a step in the right direction. I’d like to think that 007, like anyone else, is a man who appreciates convenience, and seeing him tap his Sony Xperia on the bar to get his martini— shaken, not stirred— would have been a treat.